Throughout Yugoslavia during World War II, anti-Semitism was both deeply rooted and widespread. 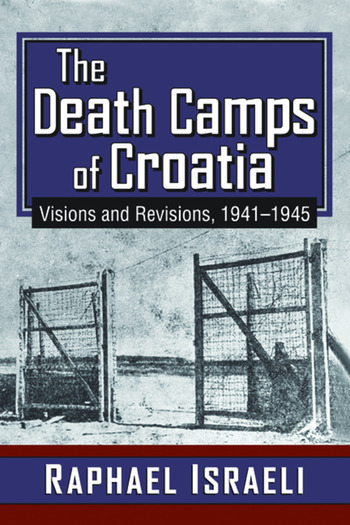 Raphael Israeli traces the circumstances and the historical context in which the pro-Nazi Ustasha state, encompassing Croatia and Bosnia, erected the Jadovno and Jasenovac death camps. He distils fact and historical record from accusation and grievance. Both Serbs and Croats have accused each other of the wrongdoings that everyone knows occurred. While the German Nazis, Croat Ustasha, Serbian collaborators, Cetnicks, and Bosnian Hanjar recruits are often seen as the wrongdoers, certain individuals helped the Jews, hid them at great risk, and enabled them to survive. They were the only people who helped the Jews. This volume is not about judging one side or the other; it is about acknowledging the evil all sides inflicted upon the Jewish minority in their midst. Serbs, Muslims, and Croats continue to dominate the ex-Yugoslavian scene. It has been their arena of battle for centuries, while the flourishing Jewish minority culture in that area has all but come to a historical standstill and has almost completely vanished. Yet the struggle over the historical record continues.